If you are applying for the course from outside the UK/EU, click apply now. Get practical training in TV and radio. Pitch to industry professionals and go on air on award-winning radio. Join a ScreenSkills Tick awarded course which best prepares you for a career in the industry. Discover your specialism, or become a master of all trades. On this practical based course, you’ll undertake a series of projects, making full use of the University’s TV studios, radio studios, editing suites and other facilities to discover your specialism. Work alongside BBC Newcastle journalists, take a placement with Made in Tyne & Wear or volunteer on internationally award-winning Spark; all based in our dedicated Media Centre. Supported by our experienced experts, you’ll connect with industry, develop and pitch ideas to industry practitioners and undertake placements to build your network. Our students have taken advantage of our relationships with BBC, Capital FM, Sunderland AFC, Tyne Tees Television, Made in Tyne & Wear and various production companies. Our teaching methods develop subject-specific knowledge and transferable skills that enhance employability. These include skills in communication, analysis, research, teamwork, writing and presentation. You will undertake small group work, one-on-one tutorials, workshops, lectures, computer-based learning and independent learning. An ongoing personal development planning tool will help you reflect on your learning and make the most of your educational experiences. In the second year of the course we encourage you to take a work placement module. Developing relevant experience of work is an integral part of the course, and throughout your time at Sunderland, you will be encouraged to continuously liaise with the TV and Radio industry with work experience placements and industry-run master classes. Assessment methods include portfolios of practical work, essays, reports, group work, seminar presentations and self-evaluation. If you study this course on a part-time basis you will typically complete 40-80 credits in a year, rather than the 120 credits of full-time students. All modules are taught during the day time and you will be studying alongside full-time students. Get an introduction to key concepts in Media and Cultural Studies consisting of three units: Language Studies, Media Studies and Cultural Studies. Look at the concepts and techniques used to develop a format for TV, radio or the internet. Learn the key techniques of audio production in a multiplatform environment. Learn practical skills to produce live programmes for both TV and radio, working in teams in our industry standard studios. Explore and consider multi-platform content and post-production techniques required to produce edited video content ready for distribution. Prepare yourself for studying and working in the media industry. Create a personal portfolio website to showcase your work to future employers. Develop the concepts and approaches introduced in MAC101 through an analysis of non-fictional television texts and discussion of a range of perspectives on media consumption. Learn a range of skills needed to create and manage content across digital platforms, including using social media, websites, online video and podcasts. Produce a major piece of work in the genre of your choice working in a team or on your own. Develop your skills in one of our 70 workstations with state-of-the-art HD Edit systems, including Final Cut Pro, Avid Media Composer and Premier Pro. You'll also use DaVinci Resolve for colour correction. You’ll also access our digital audio postproduction area with voiceover booths. The David Puttnam Media Centre is a thriving place to study and experience media. Rub shoulders with BBC Newcastle and Made in Tyne & Wear, who are both based here. Volunteer with award winning radio station Spark, write for one of our suite of websites or edit Spark Magazine in our mediaHUB. Get hands on in TV and radio studios, journalism and digital editing suites. Learn from experts in this centre of excellence for training. If successful you will be required to attend an applicant day where you will have a short informal interview with an academic member of staff. Tuition fees for part-time students are £6,935 per 120 credits. Please note that part-time courses are not available to international students who require a Tier 4 visa to study in the UK. This degree prepares you for careers in TV, radio, video and new media industries. Your training in communication, teamwork and creativity will be highly relevant to roles in many different businesses and in the public sector. Recent graduates from Sunderland have gained jobs with employers such as the BBC, Channel 4, Sky TV, Capital North East, I Daniel Blake, MTV and professional production companies. 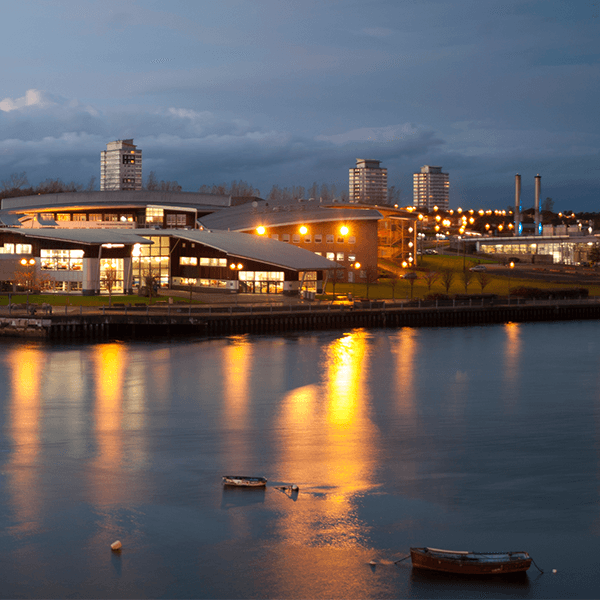 You could also choose to continue your studies with a Masters degree at the University of Sunderland, such as MA Radio, MA Media Production (Film and Television) or MA Participatory Arts and Media. Gain relevant work experience while at university that will fit around your studies, and we will be there to guide and encourage you. Undertake a number of practical assignments, which can include live briefs from clients outside the University and build up a portfolio of work, to show future employers. Spend time with a media organisation such as the BBC, Tyne Tees Television or one of the region’s production companies with a compulsory work placement. We help you find a suitable placement. Take up a CV-enhancing work placement, a University-led industry initiative, or a professional and business development boot camp. By the term placement, we mean we are offering you a taste of the industry which might last anything from two days to four weeks on a part-time basis. We frequently invite guest speakers to run workshops and master classes, allowing you to relate your learning to real-life experience. We encourage you to take part in competitions; our students have won awards from organisations such as the Royal Television Society. Throughout your studies, you’ll be guided and supported by our experts. All of whom are working or researching in media. You’ll study alongside scriptwriters, film makers, radio producers, presenters and independent film producers. All who will share their experience and encourage you to build your network. We were awarded the ScreenSkills Tick which means that we offer industry-relevant teaching. Working with industry experts, ScreenSkills awards the quality mark of the Tick to practice-based degree courses that most effectively provide students with the skills and knowledge required by employers in the screen industries. You have the opportunity to be actively involved in Spark Sunderland, the 24/7 Community Radio station based in the campus Media Centre. We also have links with Community Media Association, Community Radio and The Royal Television Society. I got a lot out of my course and I'm still enjoying the benefits now. The tutors are genuinely inspiring. Since leaving I've worked on a range of productions from The Bill to Top Gear to Where the Heart Is.